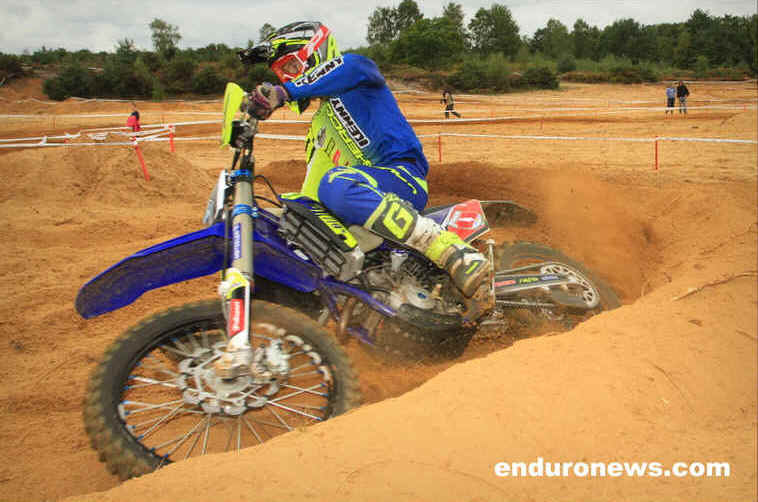 The final round of the 2018 British Enduro Championship made a welcome return to the iconic Longmoor Camp in Hampshire on the 8th and 9th October. The REME team hasve done well to gain a long term agreement with the land owner to access the Airstrip and the Sand Pit on a 3 year cycle. The weather was perfect with light clouds softening the shadows under the trees . Series leader Danny McCanney was a non starter due to a wrist injury he recently incurred at the GP of Italy in Edolo. He had accrued 177 points following the Rhayader round which would have given him an unassailable lead in the Championship if the T&E committee had not amended the regulations to allow the riders to drop a day. Theoretically - with a double win at Longmoor - Tom Sagar could have snatched the title by 2 points. Unsurprisingly Tom was first rider to the start line at 9.00am on Saturday morning. 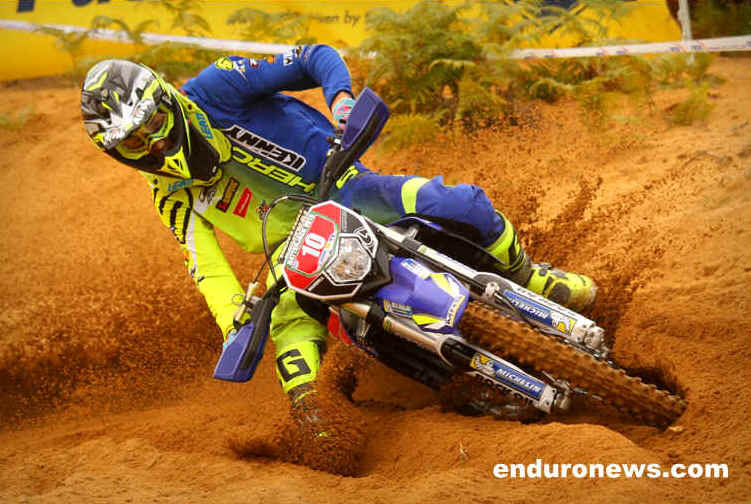 The MX test was at the Sand Pit and Steve Holcombe set the fastest time. 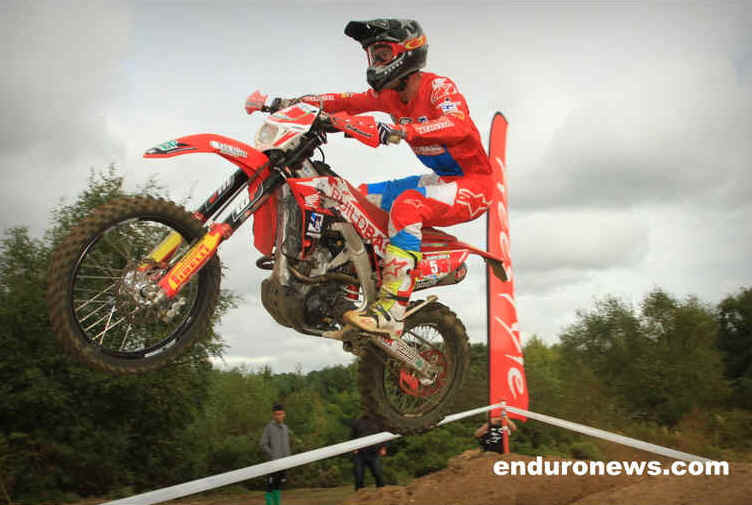 Local motocrosser Matthew Bayliss was runner up. He did well in the sand but he lost time on the trees. Joe Wootton in 3rd was fully recovered from the ankle inujry that put him out of the Rhayader 2 Day. Daryl Bolter in 4th gets better and better since he retired. Alex Snow clinched the E1/4 class at Rhayader but he still pushed on to take 5th. Jed Etchells put in his best BEC run with a 6th but he would retire with a stretched throttle cable. The cross country test weaved an undulating path through the trees alongside the paddock. Steve Holcombe again set the fastest time as he would on 8 out of ten tests to win the first day by a minute. Jack Edmondson showed blistering pace ricocheting off the woodwork like a pin ball and he set the fastest time on 2 of the cross country tests to take the runner up with Alex Snow 2 seconds behind in 3rd. Alex Daryl Bolter was 4th and Joe Wootton was 5th. Tom Sagar was 6th and Dan Mundell in 7th was the best E1/2. Josh Gotts 8th, Fraser Flockhart 9th and Kiwi Hamish McDonald was 10th. 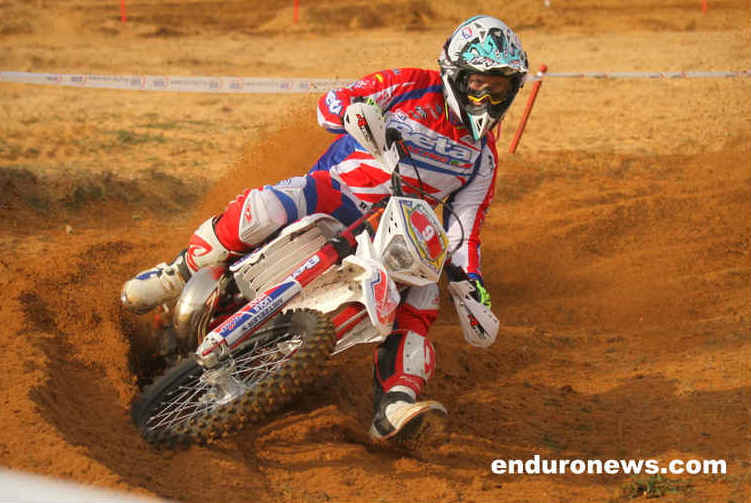 Luke Flack E3 continued to rack up his points with a win in the Expert class. Max Ditchfield (best E1/2) was runner up and Aaron Gordon was 3rd, Ben Murphy in 6th was the best E2 and Richard Tucker in 9th was the best E1/4. Lewis Ranger E2 was the top Clubman ahead of Charlie Chater E1/2 with Harry Houghton in 3rd. David Williams and Luke Peters won the Championship Sidecar class ahead of Alun Davies and James Ferguson. The Expert Classic class was a 2 way battle of the Huskys between Ian Barnett and Julian Crimp with Ian taking the win. Over 40s 1st Andrew Edwards 2nd Andrew Reeves and 3rd John Shirt . Over 50s 1st Julian Oakes, 2nd Paul Davies and 3rd Darren Osborne. Women 1st Rosie Rowett, 2nd Nieve Holmes and 3rd Ellie Cooke. On Sunday the cross country test was reversed with the added challenge of the 4 foot high brick wall but little else changed. Steve Holcombe put down a 13 second lead on his first test and he went on to win 5 out of the 7 tests to make the double for the weekend. Jack Edmondson won one test to finish runner up while Alex Snow put in 7 consistent times to finish 3rd. Tom Sagar posted a fastest test time to secure 4th and Joe Wootton was 5th. Expert 1st Luke Flack 2nd Ben Murphy and 3rd Max Ditchfield. Clubman 1st Harry Houghton, 2nd Lewis Ranger and 3rd James Palmer. Jonathan Williams and Neil James won the sidecar class. Results - Photos - Standings NB Riders must drop one day.